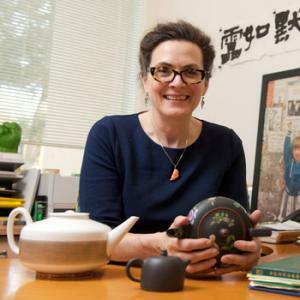 Katharine Burnett is Founding Director, Global Studies Initiative for the Study of Tea Culture and Science at the University of California, Davis. She is an art historian who works on the culture of China from 1550 to the present. Currently, she is finishing a book on one of China’s most important modern painting collectors (Pang Yuanji), and has started a study of the early modern tea cultures of China and SE Asia through an examination of trade routes and teapots.